Claimants who are denied insurance benefits or coverage from an insurer can seek the help of a long-term disability claims lawyer to represent them against their insurance company and ensure that they get all the benefits they are owed. 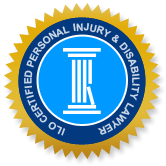 The personal injury lawyers at Injury Lawyers of Ontario specialize in representing clients who are involved in an insurance dispute and require expert advice and representation in upholding their right to fair treatment. Insurance companies also sometimes request that claimants who have already been approved for benefits submit to invasive and unnecessary medical assessments to ‘prove’ that they are still eligible, but a claimant is not obligated to undergo such an examination without legitimate grounds, such as when there is objective reason to believe that medical condition has changed. Todd Woolsey v Industrial Alliance Ins. is a recent proceeding that arose in connection with an insurance dispute over long-term disability (LTD) benefits. The claimant’s insurance company terminated his LTD benefits and also moved for an order compelling the claimant/plaintiff to undergo a neuropsychological examination (which is the subject of this discussion). The insurer, Industrial Alliance Insurance and Financial Services Inc., alleged that the plaintiff’s cognitive abilities were in issue and as a result, this examination is required to objectively assess whether he suffers a measurable cognitive impairment. The plaintiff opposed the defendant insurer’s motion on the grounds that his cognitive function is not in question; the requested examination is unjustifiably intrusive; and the evidence filed in the motion does not support the relief sought. The plaintiff is also seeking damages in a further action, for a breach of contract against the defendants (i.e. the insurer and Bombardier) and also, for long-term disability benefits that were wrongly denied. The plaintiff was employed by Bombardier Inc. and was covered by workplace group insurance for long-term disability benefits. He alleged that he has been unable to work in his job as an engineering analyst because he suffers neuropathic chest pain which interferes with his ability to concentrate and focus, and also causes him other difficulties. The plaintiff was paid short-term and long-term disability benefits until October 28, 2012, when his benefits were terminated. This civil action was commenced after he exhausted the appeal process. The plaintiff alleges that several health care practitioners have supplied evidence to the insurer that indicate that he is disabled and unable to work, due to conditions that include (but are not limited to) chronic pain in his right chest wall, and right arm and hand. The plaintiff also alleges that he continues to suffer substantial financial hardship as a result of the insurer’s failure to honour his claim for LTD benefits and this has exacerbated his medical conditions and caused further pain. Finally, the plaintiff asserts that the insurer and Bombardier knew or ought to have known that this circumstance was stressful to the plaintiff and also, the defendants’ conduct materially contributed to the severity and duration of his illness. A technical advisor with Industrial Alliance gave testimony that as a result of the plaintiff’s evidence given at his examination for discovery, she decided that “a neuropsychological assessment was the logical approach to take to the ongoing obligation to adjudicate the claim”. She came to this conclusion largely based on questions put to the plaintiff on the difference between playing video games 9 hours a day and working as an engineering analyst. The plaintiff’s response to this questioning was that, at work, the quantity of brain activity is much worse; he cannot ignore the pain; and becomes extremely irritable as a result. The defendants presented evidence from several medical practitioners, including the plaintiff’s family physician, a thoracic surgeon and a neurologist. The thoracic surgeon noted that “the plaintiff’s level of pain and sensitivity does not correlate with the MRI findings” and the neurologist, Dr. Mirsattari, (who examined the plaintiff in March 2011) recorded that the plaintiff had a history of diabetes, hypertension, heart disease, MS, and other conditions. Defence counsel took the position that the plaintiff’s brain injury may not be alleged but he has a history of various conditions and based on an expert paper that outlines ‘Indications for a Neuropsychological Assessment”, it is appropriate to seek neuropsychological assessment whenever there are doubts about a person’s cognitive functioning or competency. The defendants also drew attention to the reports of other physicians, including another neurologist, a pain specialist and an anesthetist. The neurologist noted that all analgesics and other medications have failed and as a result, the plaintiff was recommended a trial of medical marijuana. The plaintiff presented an affidavit which states that none of his treatment providers recommended a neuropsychological assessment. He also included a corrected report from the neurologist, Dr. Mirsattari, which clarifies that the plaintiff has, in fact, no known history of diabetes mellitus, hypertension and so on, and also, that Dr. Mirsattari highly doubts that there is a neurological cause for the plaintiff’s symptoms. Whether the plaintiff put his neuropsychological function in question. The court referred to s. 105 of the Courts of Justice Act which sets the following criteria where a court may order further physical or mental examinations. Where the physical or mental condition of a party to a proceeding is in question, the court may order the party to undergo a physical or mental examination by one or more health practitioners. Where the question of a party’s physical or mental condition has been raised, an order for examination shall not be made unless the allegation is relevant to a material issue in the proceeding and there is good reason to believe the allegation has substance. Further, a decision to order a further examination is discretionary rather than mandatory, and a court must consider the interests of fairness and justice for the opposing parties, and potential prejudice to the defendant and plaintiff. In consideration of all the evidence, Justice Rady was not convinced that a neuropsychological examination should be ordered. The judge found that the plaintiff has not put his cognitive or neuropsychological function in issue. Also, he has not sought such an assessment, nor have his physicians recommended him for cognitive testing. In particular, the neurologist, Dr. Mirsattari, had concluded there was no neurological cause for the plaintiff’s complaints. Finally, there was no suggestion that any of the defendant’s assessors have found such an examination to be necessary; only the technical advisor, Ms. Larivière, came to this conclusion and she seemingly has no medical background beyond what is incidental to her employment. A key argument made by the technical advisor is that the plaintiff alleges he cannot concentrate at work but is able to play video games for long periods of time. However, the plaintiff explained that video gaming distracts him from his pain. Justice Rady concluded that this evidence is not strong enough to raise cognitive issues and he is not persuaded that there is substance to the defendants’ argument or that it is relevant to the material issue. Justice Rady also disagreed with Industrial’s assertion that, by pleading that the denial of LTD benefits exacerbated his illness, the plaintiff has put his neuropsychological function at issue. The judge further noted that although the plaintiff’s claim for damages refers to cognitive difficulties with respect to his request for aggravated damages, this allegation is incidental to the claim. On all these grounds, the court dismissed the defendants’ motion to order a neuropsychological examination.